Winchester Golf Academy is extremely proud of our husband and wife team of PGA qualified professionals, Gary and Emma Booth. They have been on board since the beginning of the project and have been instrumental in shaping the direction that the business takes. They are a fantastic pair of coaches, serious experts, and passionate about golf. We're lucky to have them leading the team and we're sure you'll find them as knowledgeable, engaging and encouraging as we do. Gary wants to live in a world where Southampton Football Club are in the Champions League, Bradley Wiggins is his Sunday morning cycling partner and it’s warm enough to always play golf in a short sleeved shirt. From his first swing with a club it was clear that Gary had a talent for golf and by the age of 14 he had attained a 3 handicap. He enjoyed a wonderful amateur career competing in top-level amateur golf competitions all over the country. As a technically minded individual he has always kept up to date with the scientific advances in golf equipment. It was this interest that led him into undertaking the PGA training and becoming a custom club fitter and coach. 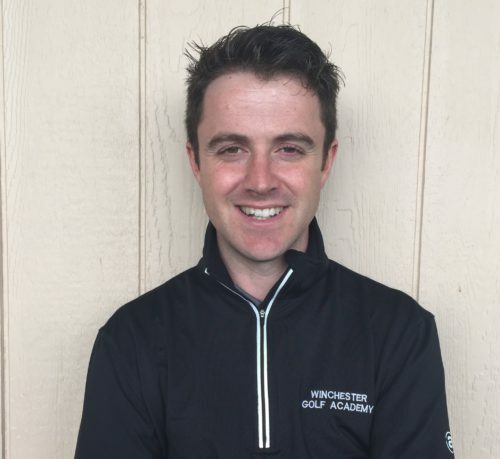 If you would like to book a lesson with Gary, please call: 07540926153 or for further enquiries email: garyb@winchestergolf.co.uk. Emma wants to live in a world where golf is played by all - with a smile on their face - and she has the ability to talk to animals. By 13 she was a full squad member of the Cheshire Girls County team and by 15 the Ladies County team. 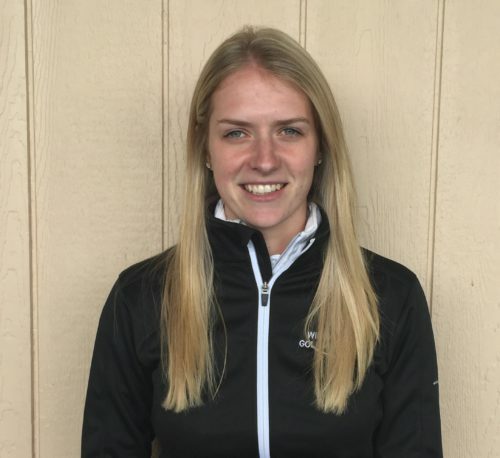 Her amateur career highlights include winning the English and British under 18’s strokeplay championships in the same year and being selected for the England U18 and 21 squads. At the age of 22 and after a spell of golf coaching in America she decided to pursue her love of coaching and train to become a P.G.A professional. She is passionate about helping people realise their potential in the wonderful game of golf. She is an avid reader of material in her field, particularly sports psychology. Emma is also a regular contributor to Lady Golfer magazine. 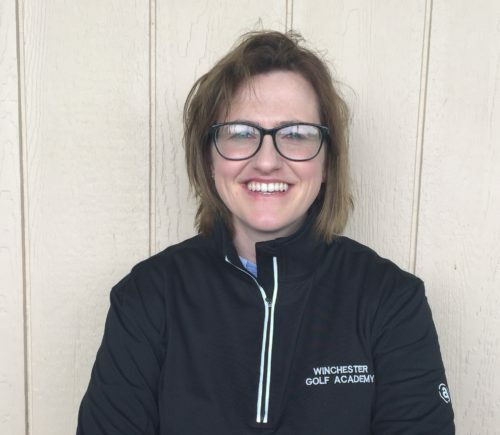 If you would like to book a lesson with Emma please call: 07730534551 or send an email to emmab@winchestergolf.co.uk. Dan wants to live in a world where he's Prime Minister, can eat food all the time without the worry of getting unfit, and can play sport 24/7. Golf started for Dan at 11 years old and became his sole focus at 16. Growing up, his passion was football and he still supports Arsenal FC. He's a massive sports fan, if it's a sport he's interested. 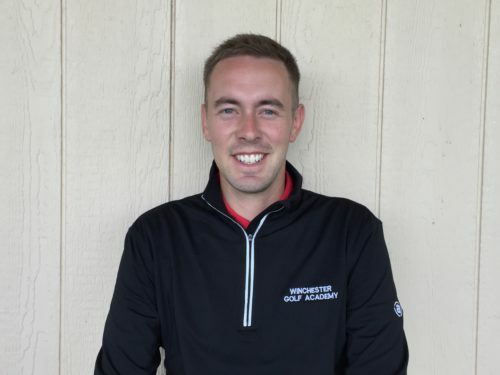 Since turning professional in 2006 Dan has had great success with both playing and teaching. He's been fortunate enough to travel the world competing on various golf tours. His biggest win to date is the PGA Euro Pro Motocaddy Masters in 2012. His main goal with teaching is helping every individual reach their full potential and get the most out of their game. Seeing golfers happy and improving is a very satisfying feeling. Dan spends some of his spare time doing charity work for rarer cancer charities, in 2014 he participated in the London Nightrider. We grow our talented team by taking on young PGA Assistant Professionals and support their training to become PGA qualified professionals. You're most likely to meet them them helping out in the shop, keeping an eye on the driving range or lending a hand with the junior golf lessons and events. Harry wants to live in a world where Peri Peri chicken is available on EVERY street corner, the other sock never goes missing and iPhone batteries never die. 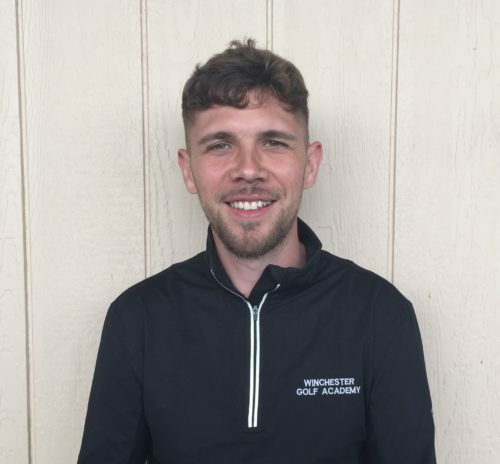 Harry has always been passionate about golf and was playing off single figures in his mid teens, living on the golf course. He studied a National Diploma in Golf at college and was Junior club Champion at Royal Winchester twice. He is a qualified personal trainer and when not playing golf you will probably find him in the gym or eating some form of protein!